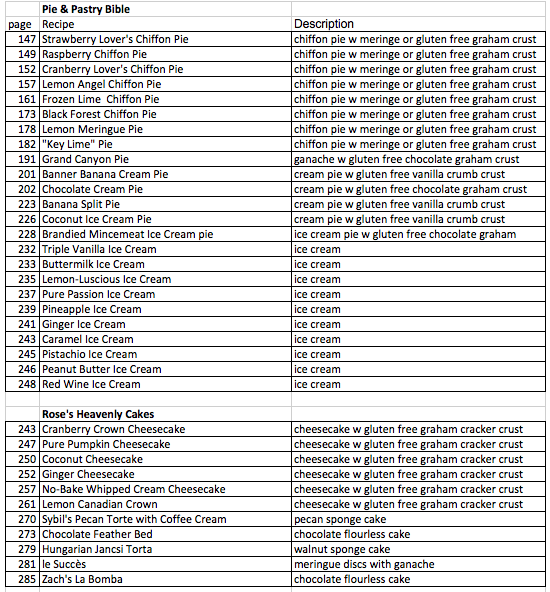 Here is a listing of over 70 plus individual gluten free baking and ice cream recipes, not to mention all of our adornment recipes. Some recipes are in other books which, in several cases, are different versions. 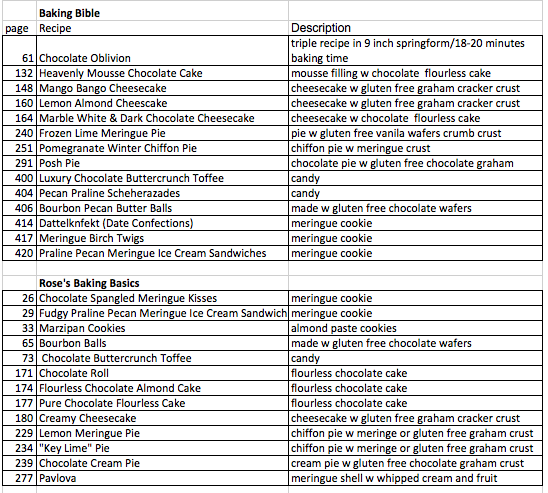 We included our upcoming Rose's Baking Basics, which will have a few new ones as well.